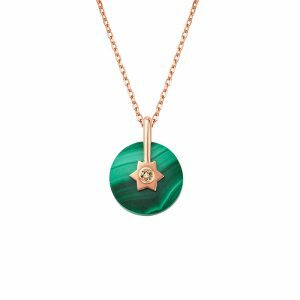 Stella pendant with 10mm malachite and star detail inset with 0.021vt champagne diamond, set in 14ct rose gold. 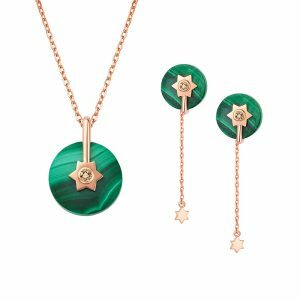 Stella 2-in-1 style earrings with 10mm malachite and star detail inset with 0.042ct champagne diamonds, set in 14ct rose gold. 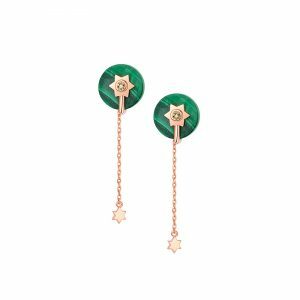 The chain is easily detachable for a simple stud earring style.